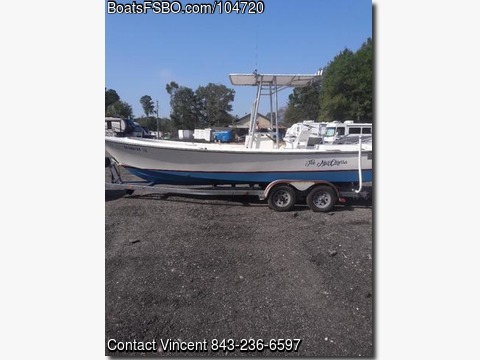 Please call owner Vincent at 843-236-6597 or 973-460-3165. Boat Location: Myrtle Beach, South Carolina. Moving soon need to sell, my 1973 Aquasport has a 2000 Alpha One Gen 2 Mercruiser Outdrive, this boat is I/O. I have replaced the carburetor, power shift cable,oil, water, gas pumps thermostat and I take meticulous care of my engine. I replaced the box chair with a Captains Chair so there is more room for fishing. Trailer, boat cover, GPS Combo Fishfinder and the radio I will leave. Boat runs up to 45kns in the ocean plus I have the HIN Boatcheck report which is clean. Boat will start right up and run strong. Price is negotiable or Best offer.